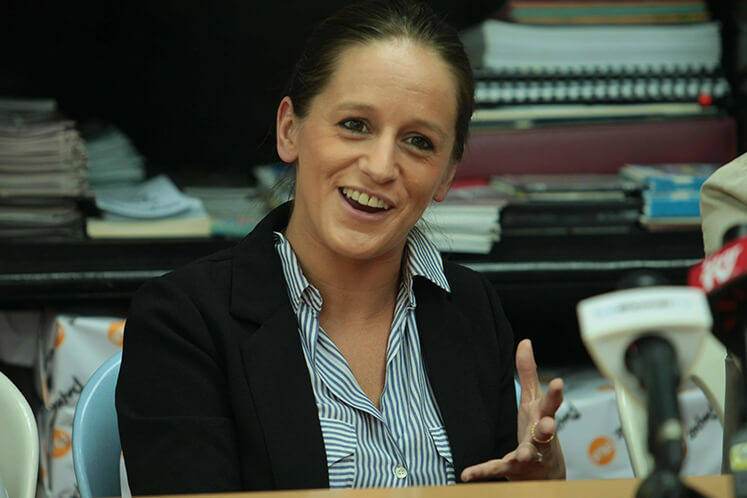 French Lawyer Apolline Cangnat at the SUARAM and C4 press conference. 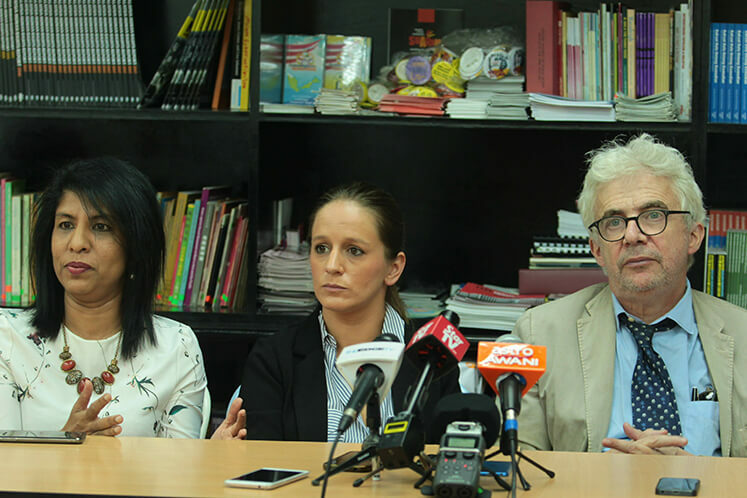 (From left) Centre for Combating Corruption & Cronyism (C4) Cynthia Gabriel, French Lawyer Apolline Cangnat and French Laywer William Bourbon at the SUARAM and C4 press conference. (From left) French Lawyer Apolline Cangnat and French Laywer William Bourbon at the SUARAM and C4 press conference. PETALING JAYA (Feb 12): The investigation into the two Scorpene submarine deal in France during Datuk Seri Najib Razak's tenure as Defense Minister is being stalled due to the absence of Hong Kong's authority collaboration. 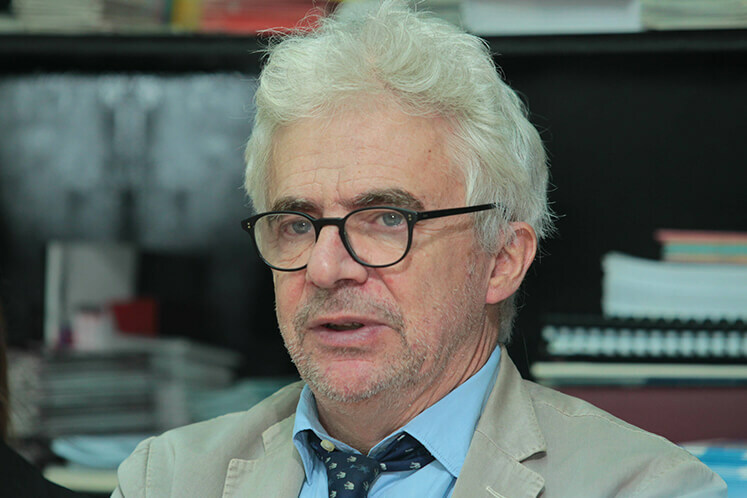 William Bourdon, the lawyer who represents human rights group Suaram to file a corruption complaint at French Court seven years ago, said the bank accounts for a shell company called Terasasi (Hong Kong) Ltd remain key to shedding more light on the ultimate beneficiaries for the US$130 million commission arising from the submarine deal. "For the moment, this is the missing part, a black hole in terms of evidence, to establish that he (Najib) could be, and I said could be, the orchestra chief," Bourdon told a press conference here today during his first visit to Malaysia, after being deported in July 2011. Bourdon said this was because Terasasi was the entity that received the commission, and French investigation found that the shell company is 90%-owned by Razak Baginda, with the remaining 10% owned by Razak's father. Nonetheless, Bourdon said Hong Kong has not issued a formal refusal to cooperate with the French authority to uncover the money trail so far, hence he is hopeful that things may change eventually with the Malaysian authority beginning its investigation into this case. Bourdon was deported arbitrarily by the Barisan Nasional government previously, after he provided a briefing on the development of the investigation into the Scorpene submarine deal. "The decision to deport me was an indirect confession," he said today. Bourdon said he is scheduled to meet the Malaysian authority in his visit this time, to provide assistance on the investigation into the submarine deal. Among authorities he is a scheduled to meet include the Malaysian Anti Corruption Commission, the Attorney General's Chamber, and deputy defense Minister Liew Chin Tong.